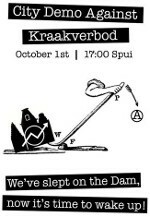 Social center squatted – days of action continue! 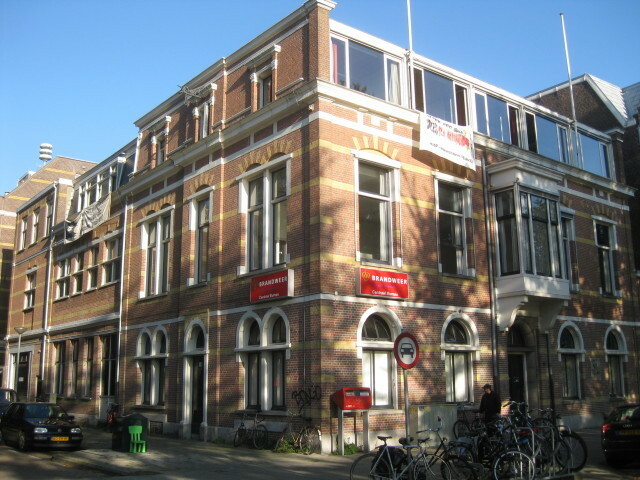 Today we have squatted a former main office of the fire department on Weesperzijde 99. There is an office on the top floor but the people working there have been promised access to that part of the building so they can continue their work normally on Monday morning. It seems that some money hungry makelaar had a plan to turn the building into some kind of a yuppie collective of creative companies, but hey – we were faster! We will use this space to do our own things: creative, social and political. The upcoming days are filled with different kinds of activities but there is always space for more. So come join us! Help occupy, take part, get involved! One Response to Social center squatted – days of action continue! the english word for makelaar is broker. translate.google.nl also could have helped you.